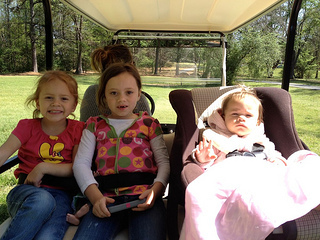 Golf cart seat belts are an important safety feature for small children as well as adults. 2. A lift lever or a bush button style to release the belt. 3. The seat belt length. 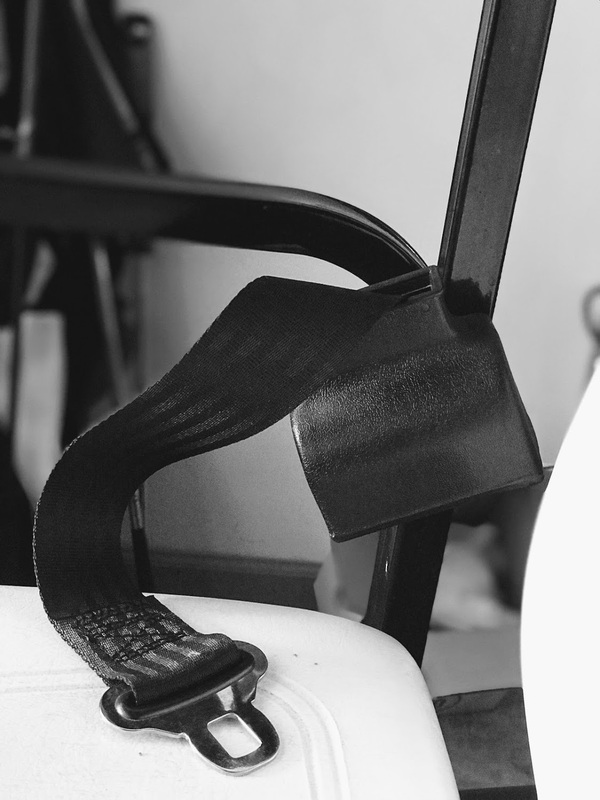 The most common sizes are belt lengths that can adjust to a maximum of 60, 74, 90 or 110 inches. Seat belt kits come as sets for 2 or 4 passengers. 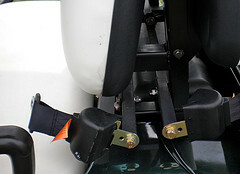 Golf car seat belts are universal - meaning they should fit almost any make or model golf cart. 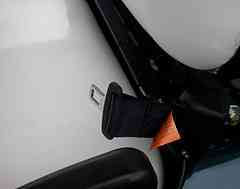 If you are installing them for the first time be sure you purchase the seat belt kit that includes the bolts. If your golf cart is going to be used as a street legal golf cart, seat belts are required for every seat. The first accessory our daughter bought for her golf cart was two rear seat seat belts. Our grandkids are always wearing seat belts when they ride on the paths. Did you know that there are around 15,000 injuries to golf cart riders in the US each year that require an ER visit? One of the main causes of injury is passengers being ejected from the golf cart and sustaining a head injury. Many of these injuries involve young children. A fast moving golf cart that suddenly makes a left turn forces the passenger to shift right and can then lead to a fall out of the cart. Because of the speed of the ejection, passengers who land on their head experience head trauma. There are many reports of children who have died from just such a scenario. Seat belts help protect passengers sitting in the back and the front from being ejected. Golf cart safety is important when you live and do most of your traveling on the city golf cart paths. 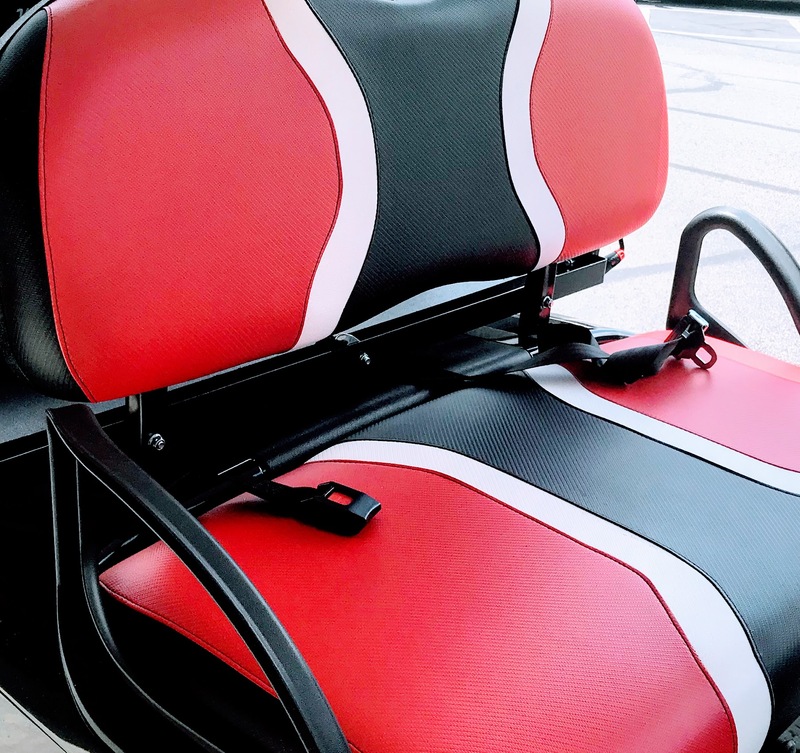 You can purchase a golf cart seat belt kit for two passengers that includes 1 universal brakes, 2 retractable belts and all need installation hardware. Here in Peachtree City there is a lot of golf cart traffic on weekends and before and after school. Many of the paths are bumpy and curvy. Always buckle kids in - especially if they are sitting in the back seat. It is important to drive with caution and to stay on your side of the road. Be very cautious and careful on curves when you can't see an oncoming cart, biker or pedestrian.